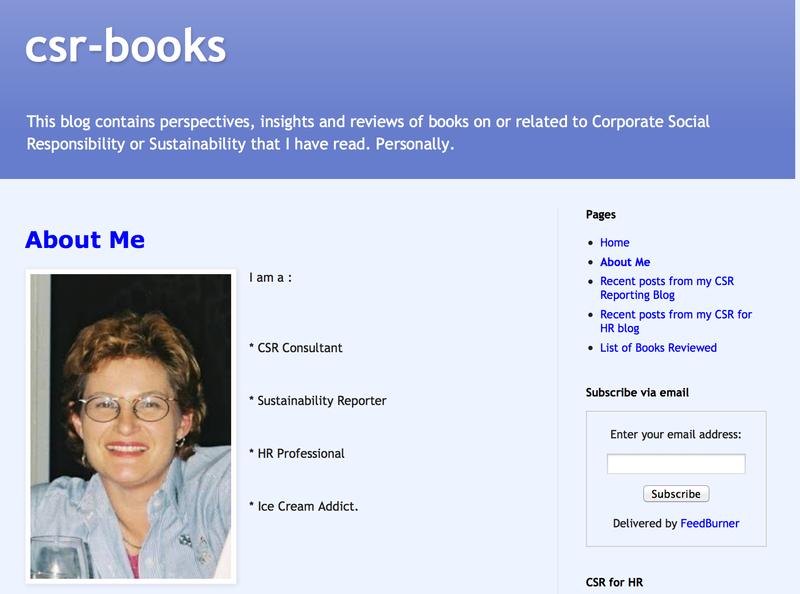 We are thrilled to share the review Elaine Cohen posted on her blog, CSR-Books. Cohen, a sustainability consultant whose blog CRS Reporting is one of the most widely read in the field, says that Ice Cream Social “reads like a who’s who of the history of the CSR movement in the U.S. with all the big names – Paul Hawken, Anita Roddick, Simon Zadek and more – who played a role in the rise, struggles, challenges, development of, and survival of, the legendary Ben & Jerry’s ice cream business. The story of Ben & Jerry’s is recounted by journalist Brad Edmondson, whose many hours researching and interviewing past and present Ben & Jerry’s protagonists is evident in the depth of the narrative. Actually, this book provides a background that I suspect many don’t know, and its insights put a new perspective on the amazing journey to a leading ice cream brand and the concept of linked prosperity. 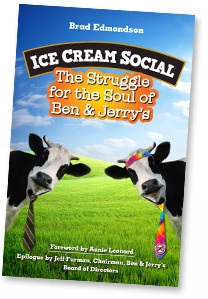 . .
“In the book, Brad Edmondson describes the risks that this pioneering [linked prosperity] approach brought for Ben & Jerry’s, alongside the detail of the challenges of performing full social audits and paving the way, by establishing new methodologies, so that larger companies such as Disney and Nike could move into this space as well. This significant role that Ben & Jerry’s played in moving CSR forward is probably not widely known and it makes for absolutely fascinating reading. . .
“There is much more to this book than I expected, and if anything, one of the greatest insights is that it is really no picnic trying to be a socially responsible company and thrive. The five to one salary ratio disappeared when it became untenable, the costs of sustainable sourcing almost bankrupted the business, and the relationships between board and management became strained beyond measure. The ability of Ben & Jerry’s to survive and grow through all of this is as much due to the perseverance of principle in general, allowing some flexibility of principles in practice, as it is to a smart group of people who appeared in the right place at the right time to make the right decisions, powered by a vision of linked prosperity, the spirit to see it through and a shared sense of the inevitability great-tasting ice cream with a backbone. The complete review is posted here.